For Sale All Locations, South Carolina Pamplico Hwy. and Siesta Dr. This +/- 0.547 acre site is located on the corner of East Siesta Drive and Pamplico Highway. The land is across from the Independence center, BI-LO, Lowes, and many other commercial entities. The site is exposed to 27,200 vehicles per day and 208’ of frontage on Pamplico Highway. 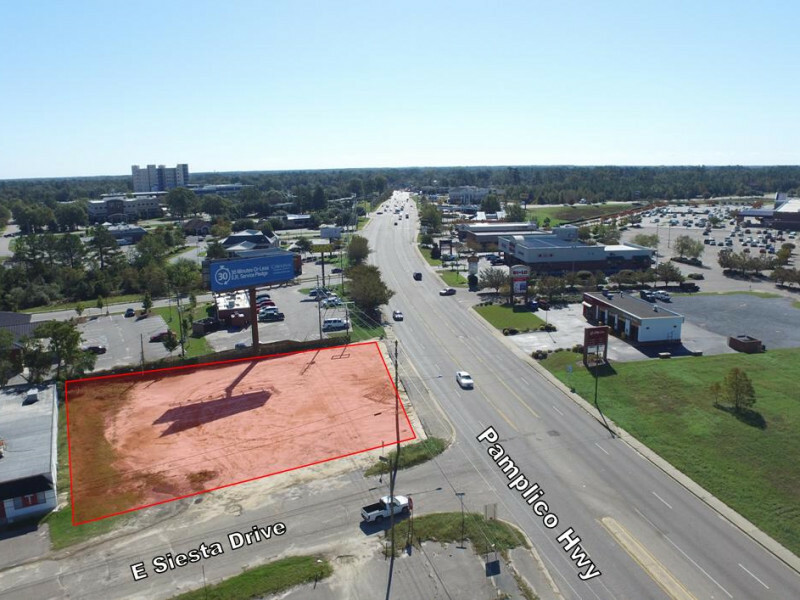 This ready to build on site is a great opportunity for any business to plant its roots on one of the most traveled commercial corridors in the Pee Dee.